A M Cassandre, is no great surprise. What might raise an eyebrow however, is the growing popularity of such work among a wider public. With their vibrant form, evocative content and their craft skills apparent in the work, it is little wonder that these posters are finding a critical art audience. 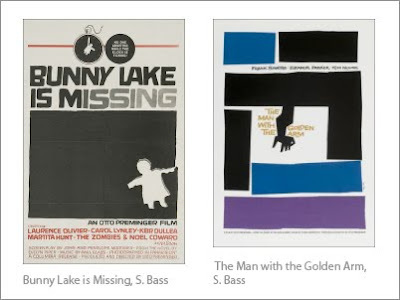 American designer Bass is well known for his work on film: Advise and Consent; Vertigo; Bunny Lake is Missing and The Man With the Golden Arm. Bass developed a hand crafted, cut-out style that employed few colours – usually red and black – but to great effect. 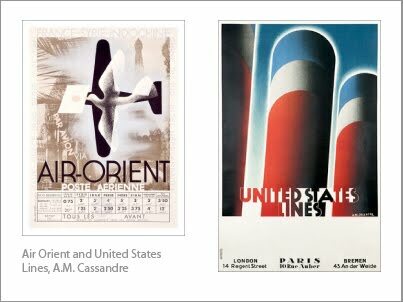 French graphic designer A M Cassandre’s work in Travel: Air Orient (France); Italian Tourist Board, and American cruise company United States Lines – had more of a clean-lined, future oriented aesthetic. 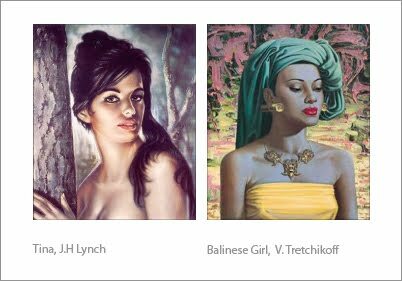 If, like me, you were raised on an aesthetic diet of religious iconography and aspirational, yet undoubtedly mediocre mass produced art by the likes of JH Lynch or Vladimir Tretchikoff – ‘Tina’ or ‘Balinese Girl' respectively – the question of what adorns the walls of ones home takes on a significance akin to curating at the Tate. For anyone with similar memories, the re-appropriation and re-presentation of this type of interior decoration as kitsch popular culture only prolongs the visual nightmare. The graphic poster is a very different animal. A sales and mass-marketing aid of the 20th century has been reassessed for a new audience and an altogether different purpose. The graphic poster has become the object of desire where it once was a mediator. The growing cultural capital of the graphic poster over the last 20 years is well illustrated on the imaginary walls of TV sitcoms. From the home studio walls of whore-master Charlie Harper in ‘Two and a half Men’ the office-space of Dr Wilson in ‘House’, the poster plays a silent but important bit-part in documenting its growing popularity among a wider public. Innovative then, inspiring now, the graphic poster is an aesthetic form that chimes with our media-centric, pop art times and one for the discerning graphic art connoisseur. But the implication for graphic design is that the poster has changed, utterly, and will never again be the communications powerhouse it once was. Aren't many of these posters of the 'vintage' variety? In which case they are defunct of their original purpose by virtue of time and are now purely aesthetic/nostalgic? If so, doesn't that mean they are 'art pieces' rather than functional pieces of graphical information? Perhaps that is why comissioning artists as oppposed to designers is more desirable. The poster has become a medium for fine art rather than communication design. I wouldn't discount the 'Tina' prints, they're now a valuable 'vintage' piece too (kitsch is another desired 'art piece'.